While finding jobs outside of the education industry in China has not been truly easy for over a decade, it has become even more difficult over recent years as China has experienced an influx of returning overseas Chinese students and western graduates fresh out of university. In the middle of this competition, there are a number of online job boards that can be leveraged to your advantage in your job hunt in China. At the very least, the following sites should give you an idea of the companies and industries that are hiring, and in which cities. And who knows? You might even come out of this with a job! ChinaJob doesn’t have great site navigation, but it maintains reasonably current listings, most of which are for positions in Beijing. If you are having trouble applying for a position on ChinaJob, switch your browser to Internet Explorer. 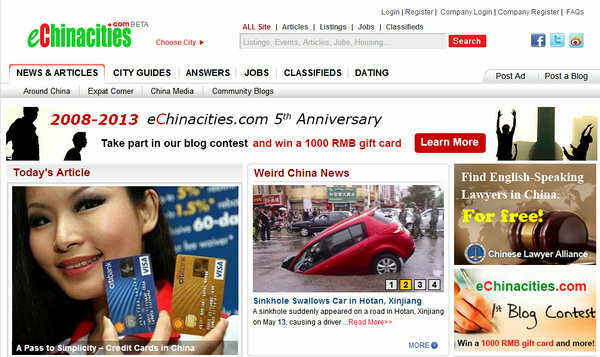 Unfortunately, like a lot of websites in China, ChinaJob sometimes doesn’t play well with non-IE browsers. ChinaJob also holds annual job fairs for foreigners in Guanghzou, Shanghai, and Beijing, although it is reported that the majority of openings at these job fairs are for English teachers or similar positions in the education industry. Creative Hunt bills itself as “the city’s only online magazine and directory dedicated to design, architecture, advertising and other creative industries in Shanghai or Beijing”, and it maintains an online job board for both these cities. Creative Hunt Shanghai has more openings than Creative Hunt Beijing, but neither one has a high volume of jobs. That said, the jobs they do post are quality, and we expect Creative Hunt to continue its fast growth and become a go-to resource for those seeking marketing and advertising jobs in China’s major cities. My personal favorite job board out of the bunch. You find jobs in anything from translation to architecture good overall here, and it comes with a set of filters that makes the search easy. Many of the expat mags in China use Career Engine to power their job listings; among them are SH Expat, City Weekend, and China Splash. Career Engine’s openings represent a broad swatch of industries, and many of its openings are for senior positions. Here’s my plug- if you are flexible and an adaptable learner, we’ll place you an internship in the industry of your choice in Shanghai. One challenge people face when building a career in China is that there are limited opportunities for those who are mid-career. All too often, companies will offer someone with 5 years of experience the same internship they’d offer an entry-level graduate. For this reason, I recommend taking an internship or entry-level job early on in your tenure in China instead of chasing the “quick cash” that something like teaching English offers. Of course, I make that recommendation only to those who are not interesting in teaching English as a career path. While the above websites can be a great way to find a job in China, we recommend getting offline and networking as well. Especially in China, where Guanxi (connections) dominates, in-person relationships are often the best way to get a job. Check Internations to see if there is an event coming up in your city and be sure to attend any that are. 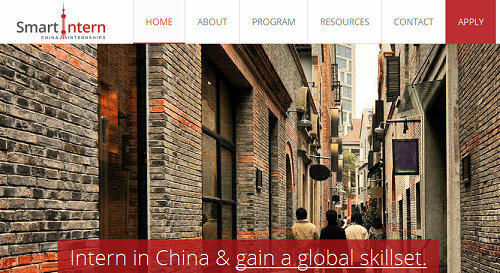 ChinaHot allows you to search for positions in China’s Tier 1 and Tier 2 cities. Positions in Biz Dev (Business Development), Sales and Marketing, and of course Language Training are the most common open positions. 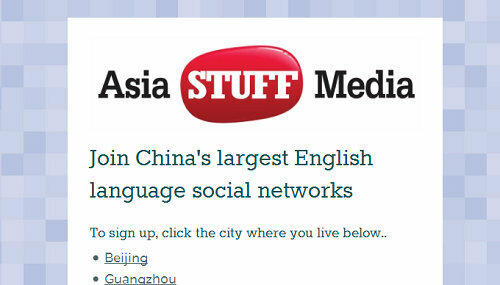 Asia Stuff Media maintains “China’s largest English language social networks”, which are city specific social networking sites for Beijing, Shanghai, Guangzhou, and Shenzhen. Each of these sites has a classifieds section that contains job openings, most of which are for teaching English. If you are living in one of the four cities covered by Asia Stuff Media, it’s worth checking out your local “Stuff” website. Even if you don’t find a job on it, you will see housing and events listings in the classifieds section, which helps to get your finger on the pulse of a city quickly. Bio: Brandon helps students and recent graduates obtain internships and entry-level positions in China with his company SmartIntern.